It’s about time DocWagon had the spotlight thrust on it, don’t you think. I’ve played a DocWagon character back in the FASA days of Shadowrun. He was a purely defensive character and the other players grew to love having the equivalent of a D&D cleric on the team. Heck, when my rabbit was sick for over a year with a mystery disease, someone over at Harebrained Schemes (creators of Shadowrun Returns), made him his own DocWagon Platinum card which is still really sweet. Now, we have a supplement for both Fourth and Fifth Edition entitled Bullets & Bandages which gives a modern take on a pure medic character. Everything old is new again! 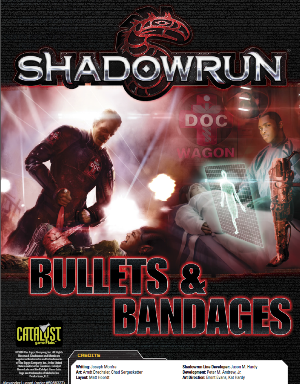 I’m glad that Bullets & Bandages is designed for the two most recent versions of Shadowrun as it allows more of an audience to make use of this little supplement. Speaking of supplements, this is the first I can remember referred to as “Shadowrun Options.” Now what this means, is that everything in Bullets & Bandages, from the mechanics to the new abilities are NOT not considered official rules. This is a bit odd. Usually it’s third party releases for games that’s aren’t considered canon rules and the like for a system. This is the first I can think of where a first party publisher released something that it’s canon or official and I’m trying to figure out how and why this was released. After all the supplement clearly states, “They will not be used in official products, Missions, or allowed in tournament play.” This of course means you will never see or hear from this piece again making this a truly odd piece indeed since Shadowrun releases LOVE to cross-reference each other. 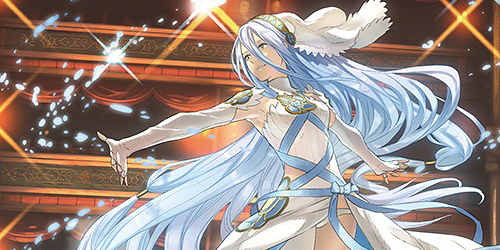 Like I said, I can’t fathom why this was released if CGL is essentially saying, “Well, WE will never use it, but you can.” That really reduces the potential target market for B&B, but makes it no less interesting as a curiosity piece. Bullets & Bandages starts off in the usual manner – with a piece of JackPoint fiction. You get a nice look at a “Welcome to DocWagon” speech by one David Hill. I found this amusing because of course, David Hill is a writer for multiple RPGs (best known for World of Darkness I would think) and has even contributed to Shadowrun in the past. I’m not sure if this was an intentional in-joke or just a happy coincidence, but there you go. Anyway, the speech takes a look at what a DocWagon employee must go through, and is interspersed with commentary from the runner community at JackPoint. The fiction piece is really well done and it’s a fantastic look at the AA Corp. It’s also been a long time coming. The rest of the piece (from page 9 through Page 23) are all new mechanics. Fourteen pages of new mechanics just for medics does seem a bit odd and perhaps overdone, which may be why CGL made B&B completely optional. After all, Shadowrun does take the occasional flak for being too mechanics heavy as is. There’s no real reason to add a metric ton of new mechanics when the much lighter version of medicine and healing works just fine. I have to admit I personally wouldn’t some of the rules in this piece, as they are very pedantic, reeks of overkill and will definitely stymie newcomers who are probably overwhelmed by the amount of mechanics the Sixth World is filled with but there are some that might want to use these, so let’s take a look at them. The mechanics half of B&B starts off with some fantastic advice on “Building a Medic Character.” You’ve given all sorts of suggestions, depending on what type of medic you want to make, what metahuman races work best and how to build a decent Awakened medic. Skills, Qualities and gear are also discussed with some detail. There is some great stuff to be had here and it’s certainly worth a read. The Qualities are sure to raise an eye – especially Pregnancy. I really liked the Skill Rating charts for Biotech and it was fun and interesting to see how different 4e and 5e are in this regard. It’s a great example of how different, and yet similar, the two editions are. This is followed up by a page of “Advanced Biotech Rules.” This page highlights the simple and complex actions your character can take via the Biotech skill. Short and sweet. “Care Under Fire” makes up a huge part of the mechanics and it is here where the piece falls apart for me. It’s just too much rules and roll-playing over Role-Playing for me personally. The new (thankfully not canon) damage progression rules not only changes the game into constant dice rolling, but also kind of forces your team to have a Medic character on the squad or watch everyone die slowly and horribly. It really feels like trying to shove the idea of a medic character down the game’s throat to the point where people will view the idea with disdain. Generally when you try too hard to put something over, it causes the opposite effect that you were hoping for. It’s just too much dice rolling for every little medical nuance. For the most part these rules replace good old common sense and actually role-playing your characters. Instances where any other game would be, “Well, my character does this” and in turn act out or describe the actions being taken, are boiled down to a dice roll. In essence, it turns the game into D&D/Pathfinder skill checks and I’m not down with that. You shouldn’t have to roll a Cybertech + Logic extended test to freakin’ upgrade your medkit. That’s something that should be acted out and it’s certainly not something you need to roll for. I have to admit, by the time I was done with Bullets & Bandages I was very, VERY thankful these rules will never been seen again outside of this piece and some homebrew games I am not a part of. After “Care Under Fire,” the piece goes back to being a pretty good. You have a whole host of new “Drugs, Toxins and Pathogens,” (Six, four and three respectively) which I’m sure you and your team will be able to find very creative uses for. There are also two new spells and three adept powers worth mentioning. Death Replay will be very helpful for any investigative type missions, although it might be a tad too powerful in that regard. Incision is obviously for medical uses, but there can be a sadistic side to it too, such as constantly opening and reopening cuts for abuse or torture. The new Adept Powers are Feign Illness, Feign Death and Transmit Damage. The latter two will find the most use in play. This is followed up by some new gear, armor and drones. That’s your supplement chummers. Overall Bullets & Bandages is an interesting piece. Aside from “Care Under Fire”, the piece is really well done and thought out. A lot of the new mechanics won’t be of interest save to gamers whose sessions are more die-rolling than role-playing, but even then as nothing in this piece is canon or will be used in further supplements or any official products, it’s hard to recommend this piece, even at five dollars simply because it’s more a curiosity than anything else. That said, B&B does have some well written pieces outside of the mechanics part and it’s great to see medics and DocWagon getting some spotlight time. Aside from the one section I couldn’t stand, B&B is fine for those us who shy away from a 100% canon and metaplot oriented game. Just remember not to get too comfy with these ideas, rules or abilities outside your own game though, as if you play with someone else or go to a convention or a Shadowrun Missions, you won’t be able to use these and perhaps even your character. Overall, the good outweighs the bad here and it’s always nice to have more options. The first Options product was “The Way of the Adept”, but i think it was not mentioned in the PDF itself – the following text appears in the product desc. 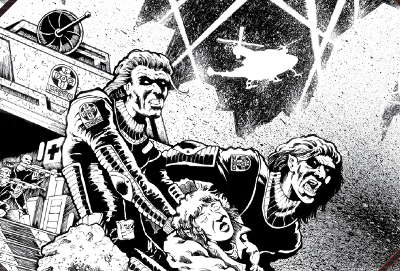 on DTRPG though: The Way of the Adept is the first in the Shadowrun Options line of products. This line offers optional rules that can add new levels of fun to your Shadowrun game. Thanks Radek! I own “The Way of the Adept” but the “Shadowrun Options” bit isn’t in the PDF. I checked it out when you mentioned it to confirm. That’s really bad/weird to only have that status on DTRPG rather than in the easily editable PDF, don’t you think? When you’re in a game or years down the road, who is going to recall that off the top of their heads? CGL needs to either edit the PDF to reflect the optional status of that piece like B&B or it just comes off as sloppy or not caring. I completely agree. 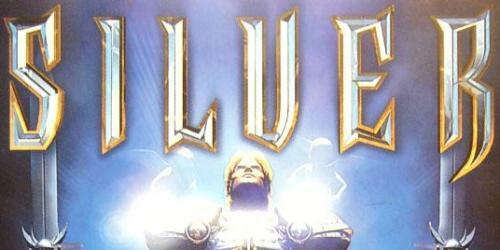 From what i gather you are well connected within the RPG-world, arent you? Maybe its time for you to have a Chat with this SR-whats-his-name-line-developer? :-) Seems to be a chaotic world there at CGL :-) Cheers!